Want a Free Quote for Automatic Gate Repair in just 90 Seconds? Having trouble with your gate operator or automatic gate? If you are worried about a malfunctioning gate causing you major problems that come up at the most inconvenient times. Whether it is your gate is an automatic gate, driveway gates, e-gate, electric gates, an iron gate, metal gates, a sliding gate, or wrought iron gates, they all can break down and leave you in an uncomfortable position. If you are dealing with your gate operator, access control accessories, or gate malfunctioning, then you need Sameday Gate Repair. We are here for you anytime, day or night for automatic gate repair! Sameday Gate Repair serves it’s customers with quality automatic gate repair services such as gate opener repair, telephone entry systems, automatic gate repair, welding repairs for iron gates, as well as many other access control repairs and services. When you choose Sameday Gate Repair , you will receive excellent care from our professionally trained gate technicians that can come to you 24/7. We offer the highest quality of parts as well as service every time you call. We answer your questions, before you ask them! Check out some of our most common questions on automatic gate repair services below. Then give us a call at (877) 467-1797 if you still have questions. We are here to help! It is recommended to have your driveway gate serviced yearly just a you would your transportation for preventative maintenance. We offer a emergency gate repair options so that you can create a custom gate that suits your needs in no time. 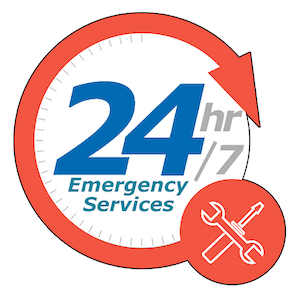 Sameday Gate Repair is available to help 24 hours a day, 7 days a week. Whether you need our installation services or you are facing emergency repairs, we are here for you. Contact us today at (877) 467-1797 to learn more about our automatic 1-year installation guarantee on all of our new gate openers and telephone entry intercom systems.